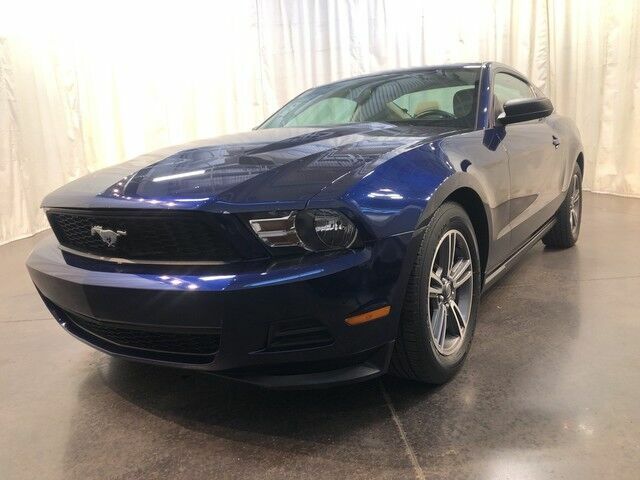 Jenkins & Wynne has a wide selection of exceptional pre-owned vehicles to choose from, including this 2011 Ford Mustang. The Mustang V6 Premium is well maintained and has just 103,022mi. This low amount of miles makes this vehicle incomparable to the competition. This is about the time when you're saying it is too good to be true, and let us be the one's to tell you, it is absolutely true. Driven by many, but adored by more, the Ford Mustang V6 Premium is a perfect addition to any home. More information about the 2011 Ford Mustang: The Mustang has always been one of the strongest performance values for the money. With new engines across the line, plus a number of improvements that make the Mustang more comfortable and enjoyable to drive, it's a better value than ever. Meanwhile, the GT500 appeals to those who want a more exclusive performance Mustang because it adds additional exotic design cues, a high-power supercharged engine as well as numerous performance tweaks. This model sets itself apart with Classic pony-car styling, uncluttered interior design, strong V8 performance value, and ride TEXT: 214.914.1866 CALL: 931.538.7505 EMAIL: Sales@JenkinsAndWynne.com. Our pre-owned come w/ an oil change, windshield wiper fluid check, 50k mile compression check, atleast a 32pt inspection sheet, the AutoCheck vehicle report, and a 12month/12k mile power train warranty (on a vehicle w/ 80k miles or less/10 years or less/ excludes Diesels, also excludes Bargain Corral Vehicles). This is already over a $200 savings to you! Jenkins & Wynne has been proudly serving the Clarksville area since 1953! This 2011 Ford Mustang is a 2 door 3.7L V6 rear wheel drive coupe! This beauty has tan leather interior, CD player, Sirius XM radio capabilites, AUX and USB port, power locks and windows and MORE!